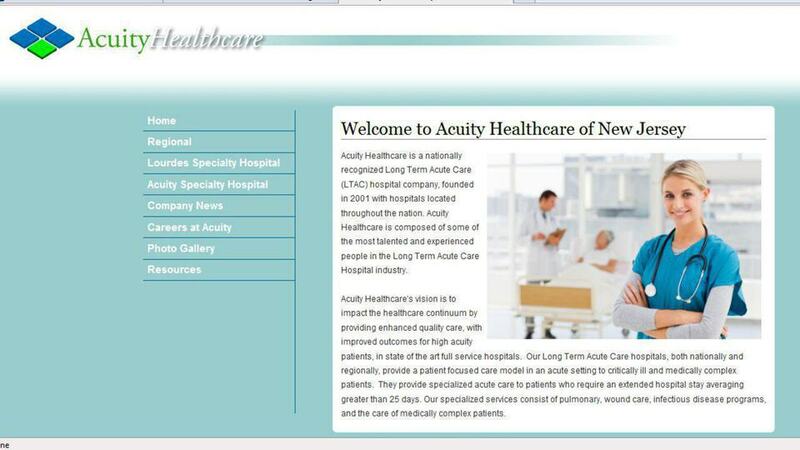 Acuity Healthcare of New Jersey is a content-managed website built using the LAMP environment, Linux, Apache, MySQL, and PHP. 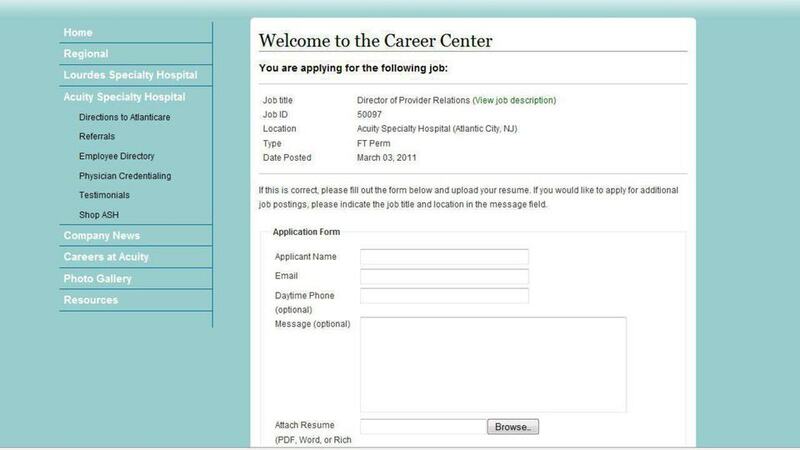 The site runs on a web administrator authentication (login) system and includes a system that allows the client to manage an employee directory, job listings, news articles, and photo gallery in addition to the standard content manager for files and pages. 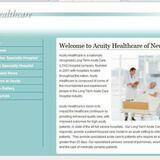 The content can be allocated to one of three hospital locations, automatically populating the sub-site for that location. 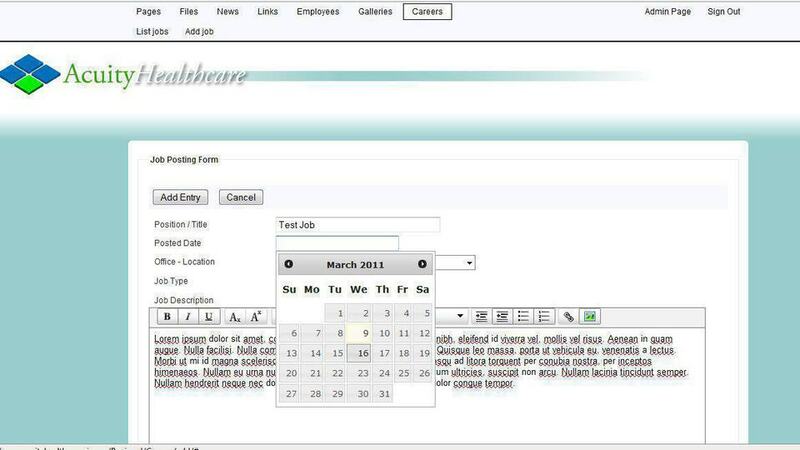 In addition, guests are able to upload resumes and PDF applications to the site, which are in turn converted to emails sent to preset addresses in the company, as well as automated emails sent to the applicant.